Did you ever wonder what to do with all of the huge zucchinis you grow in your garden each summer? Hmm, given the snowy weather, and cold February winds, summer gardens are a distant memory in Canada right now. But, even if you don’t have zucchinis coming out your ears (figuratively speaking of course) I suggest you get some, and try this nice recipe. After beating, add between 4 and 5 Cups of Shredded Zucchini and mix well. 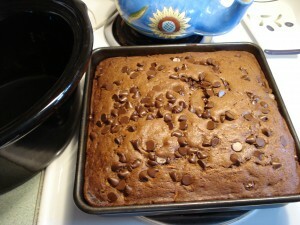 Spread batter into 2 greased 9×13 pans, and sprinkle each cake with a generous handful of chocolate chips. 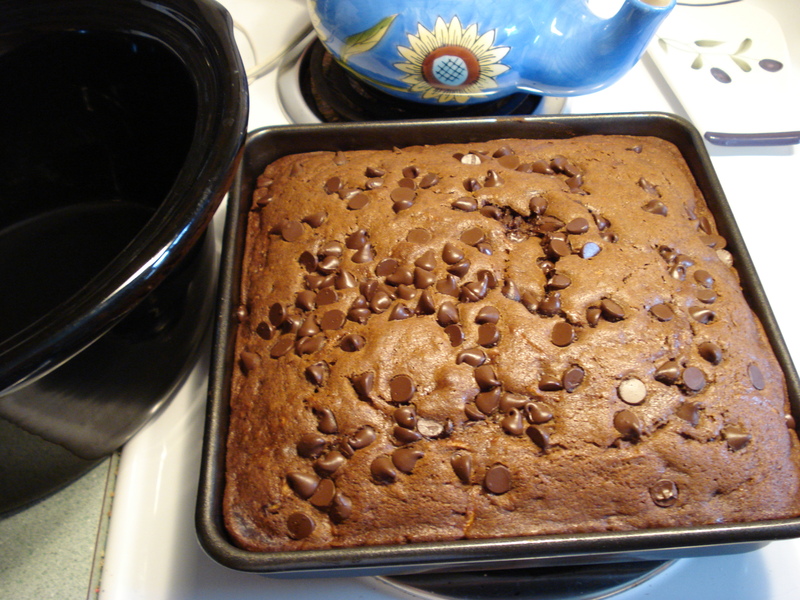 Bake for approximately 40 minutes at 325 degrees. I wouldn’t want anyone to use *real* sour milk!!! yuck! Hi, I tried this cake recipe few hours ago but somehow couldn’t achieve the same result as you, my cake really wasn’t looking that good (atleast it tasted good). What kind of chocolate do you use? Maybe it’s coming from the flour I used, I have a gluten intolerance so I used quinoa flour instead of regular wheat flour.